Or, at least it can have a sort of illusion of transparency. 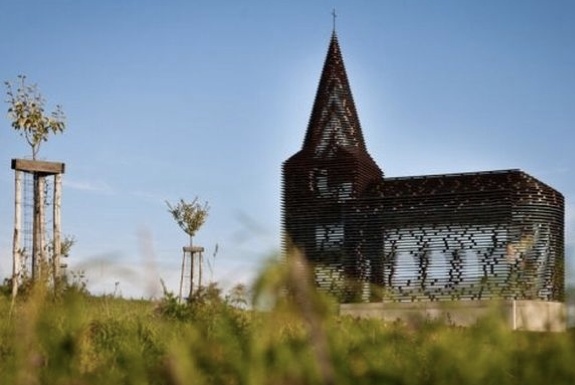 The 10 meter (33 foot) high church is made of 100 layers of weathered steel plates. Look at the plates from a directly horizontal angle and they are so thin as to be hardly noticeable (especially when the scene behind the church is well lit). 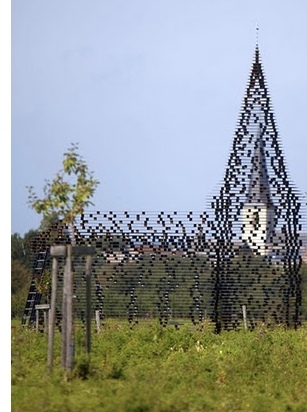 The effect lead Gijs Van Vaerenbergh to give their work the apropos name Reading Between The Lines. Altogether, it’s sort of like a miracle. Which we suppose is what all churches, whether functioning or works of art, are in some way about.